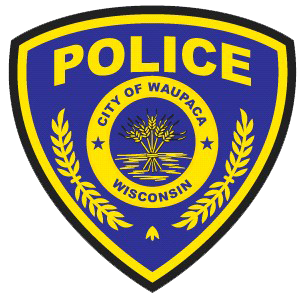 On July 17, 2007, the Waupaca Police Department became the 101st State Agency to take the Law Enforcement Oath of Honor. The Oath of Honor provides a means for law enforcement to demonstrate to their communities that they adhere to the highest of ethical standards. The Oath of Honor campaign is entirely voluntary in nature and should only be participated in by those wishing to demonstrate this important commitment. The Waupaca Police Department has been successful in having all 100 percent of our sworn and non-sworn members voluntarily take the Oath of Honor and then sign a large certificate which will be on public display in our newly remodeled policed department. Visit www.wichiefs.org/oath.asp for more information. Our vision is to become a recognized leader in policing. We will strive to heighten our profile as an integral part of the community, widely respected and trusted by it’s people, through the delivery of exemplary service. The mission of the Waupaca Police Department is to serve our community with the enduring belief that in so doing, we serve ourselves. We believe that community problems require total commitment between ourselves and those we serve. As professionals, we view our responsibilities as a covenant for public trust. We recognize that the primary purpose of our organization is not only the skillful enforcement of the law, but the delivery of humanitarian services which promote community peace. We will treat all people with dignity and respect in the same way that we ourselves expect to be treated. We will protect the Constitutional rights and personal freedoms of all citizens. We believe that honesty is the basis of public trust. We will strive for personal and professional excellence. We are accountable to the citizens we serve and responsible for our actions. We will be open and accessible to the public. We believe that the most effective law enforcement services are achieved by working with the community to identify and resolve problems of mutual concern.